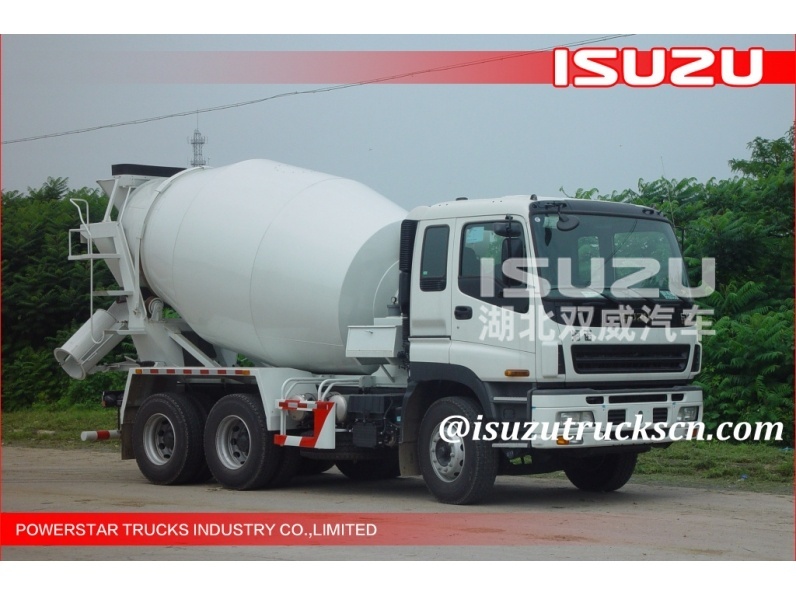 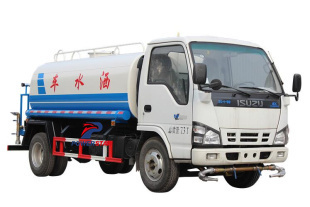 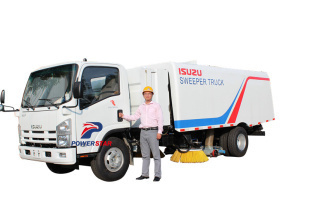 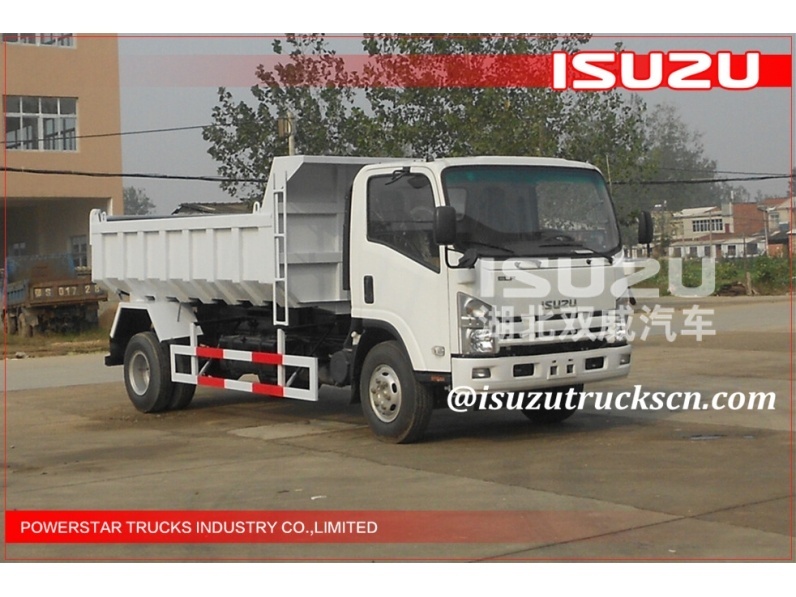 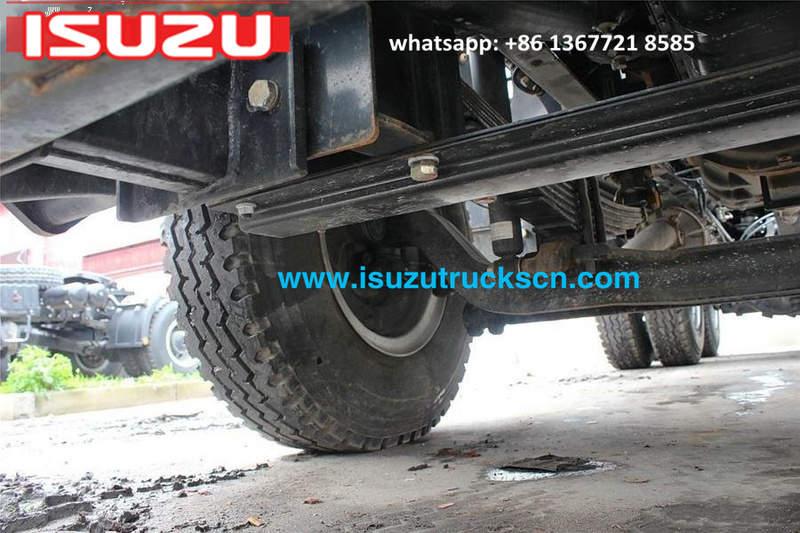 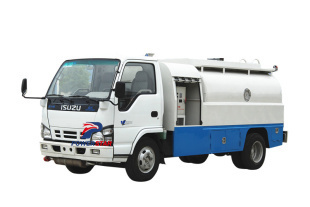 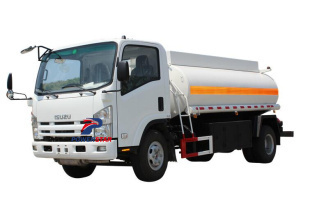 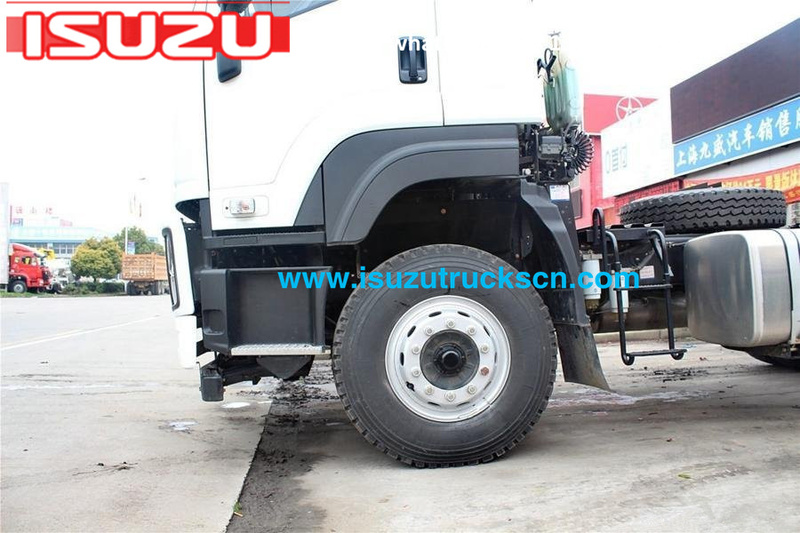 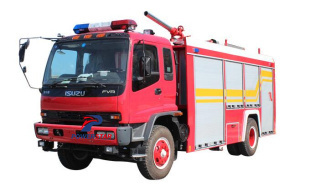 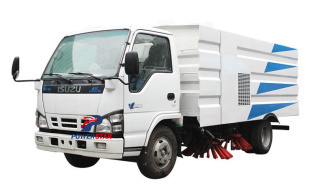 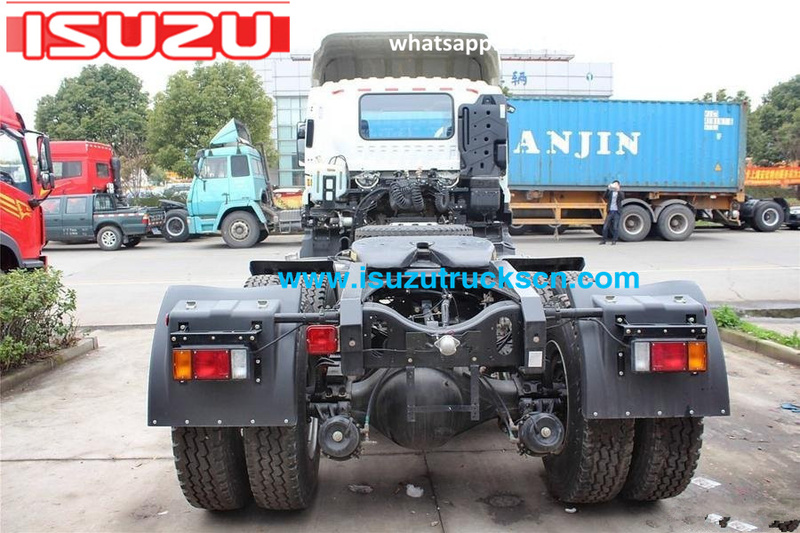 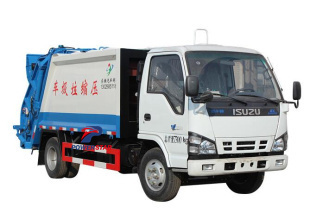 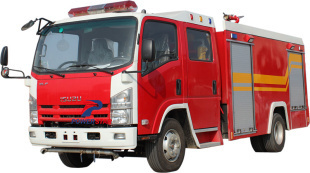 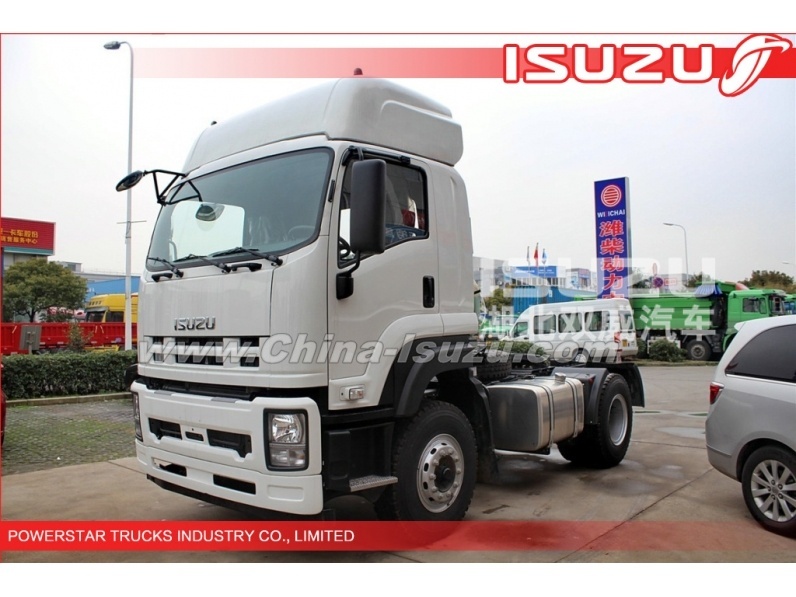 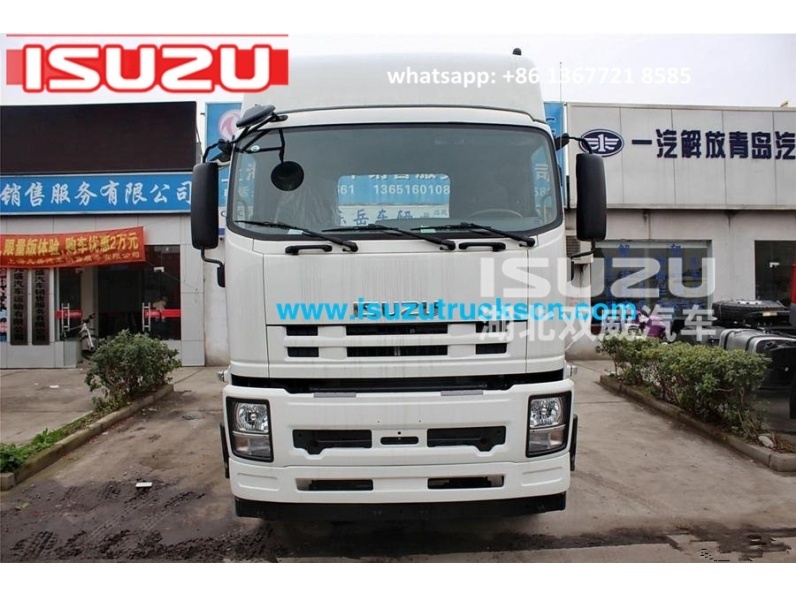 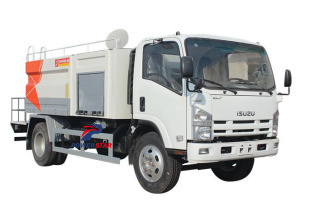 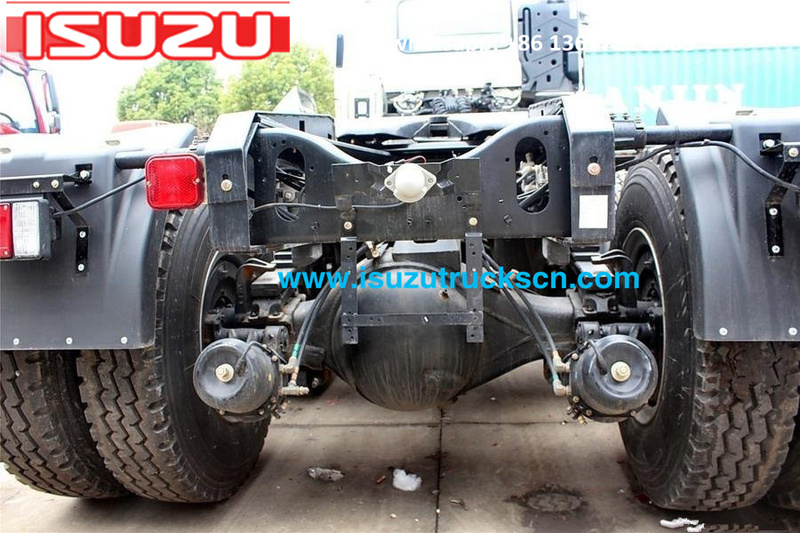 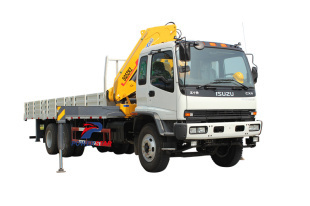 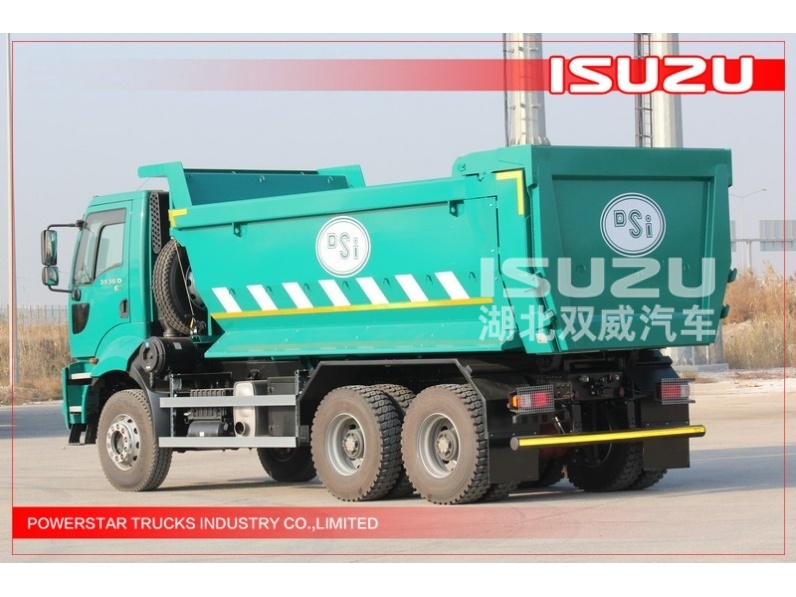 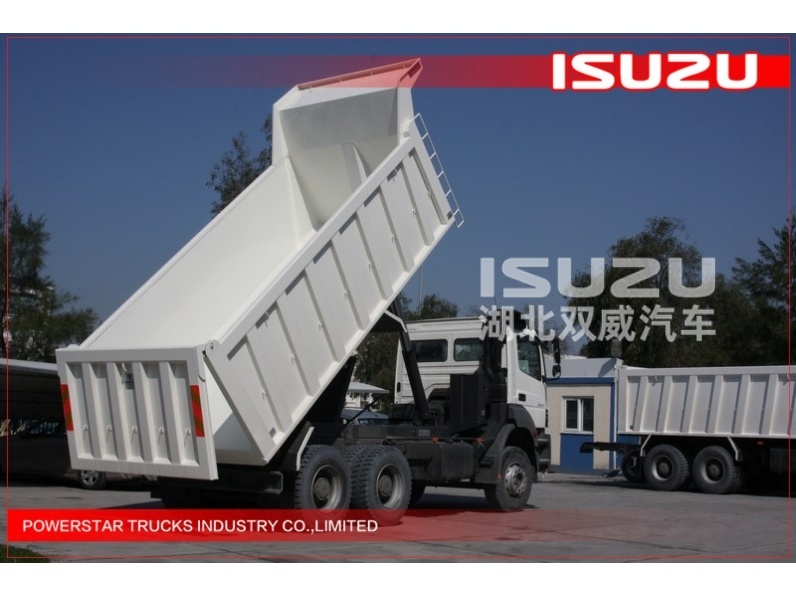 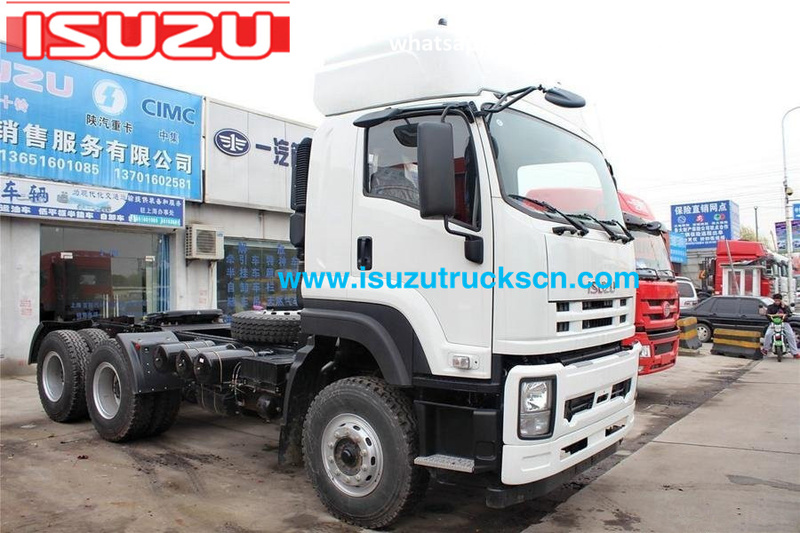 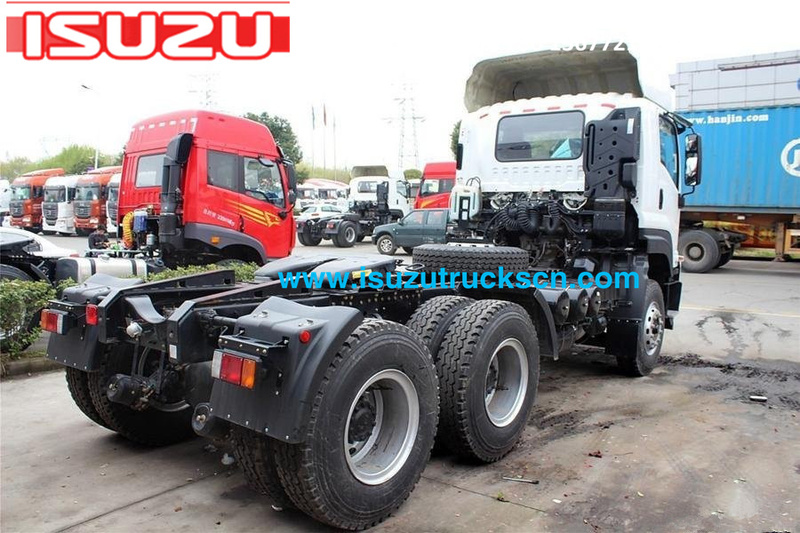 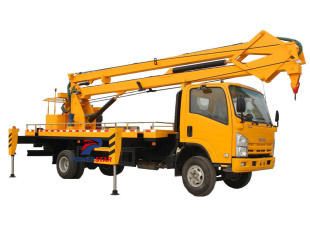 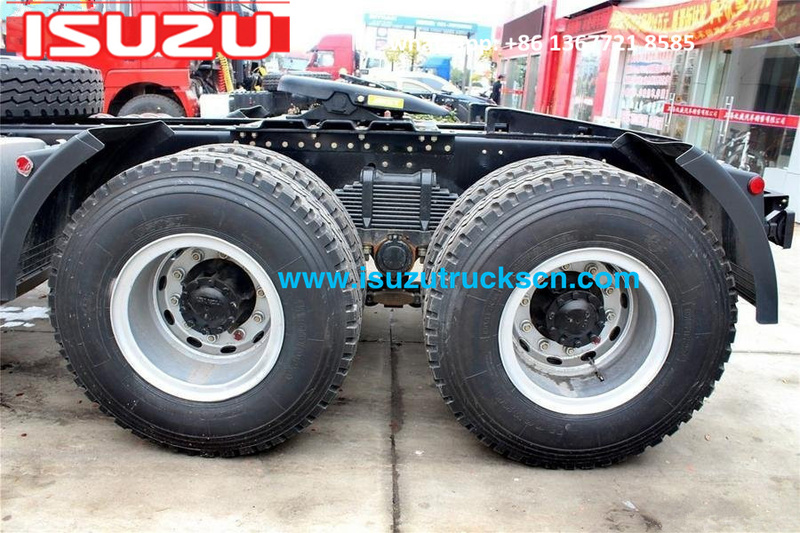 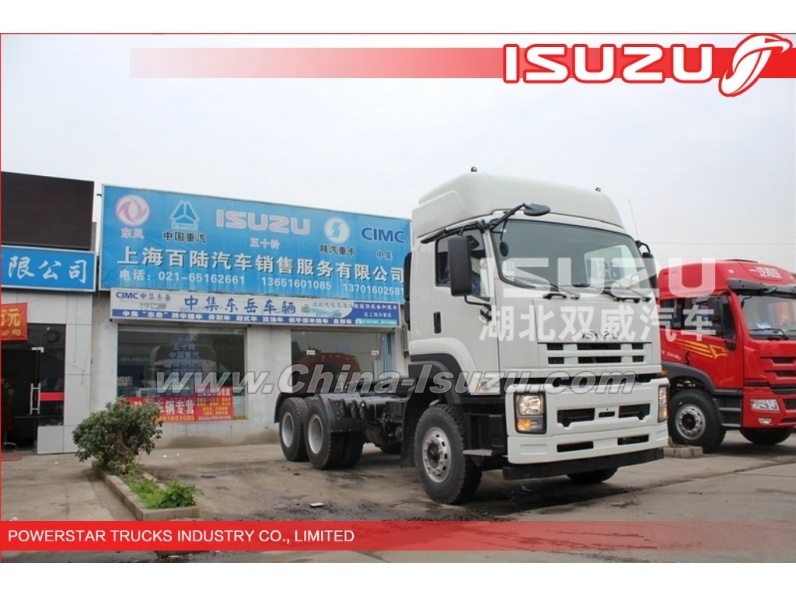 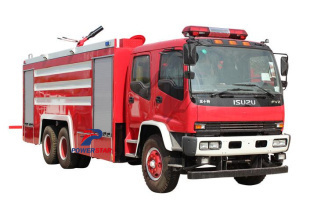 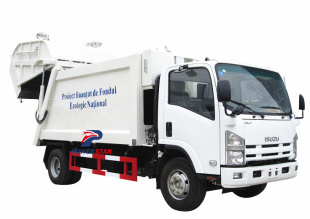 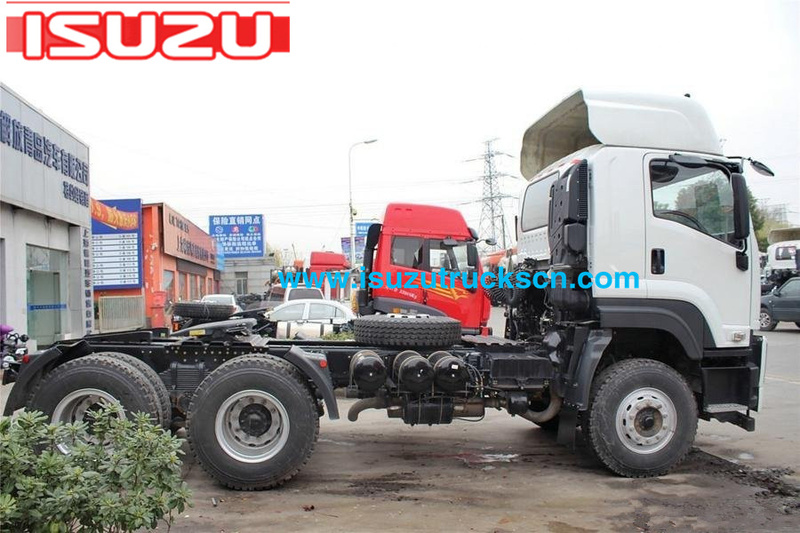 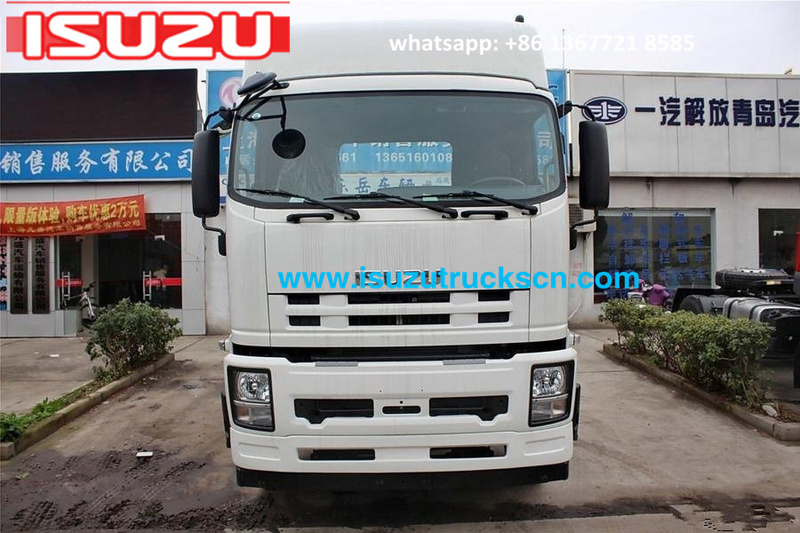 Tractor Trucks ISUZU (also called Semi trailer tractor head, tractor head truck, heavy tractor head, Tractors semi, prime mover, Truck-ractor trucks, Japan semi tractor, Hauler tractor truck,Semi tractor head, tractor unit, Prime mover trucks, road tractor, semi truck tractor, Mobile tractor unit, etc.) 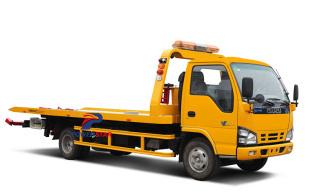 is a specialized towing engine that provides motive power for hauling a towed or trailered load. 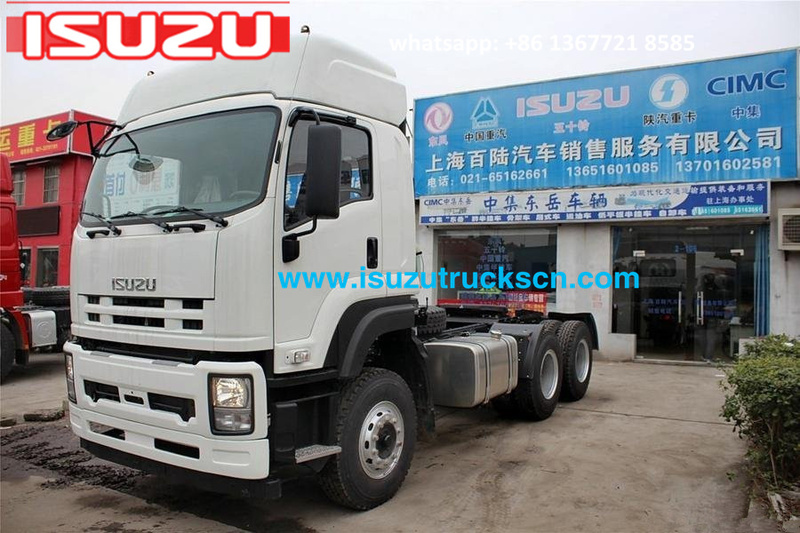 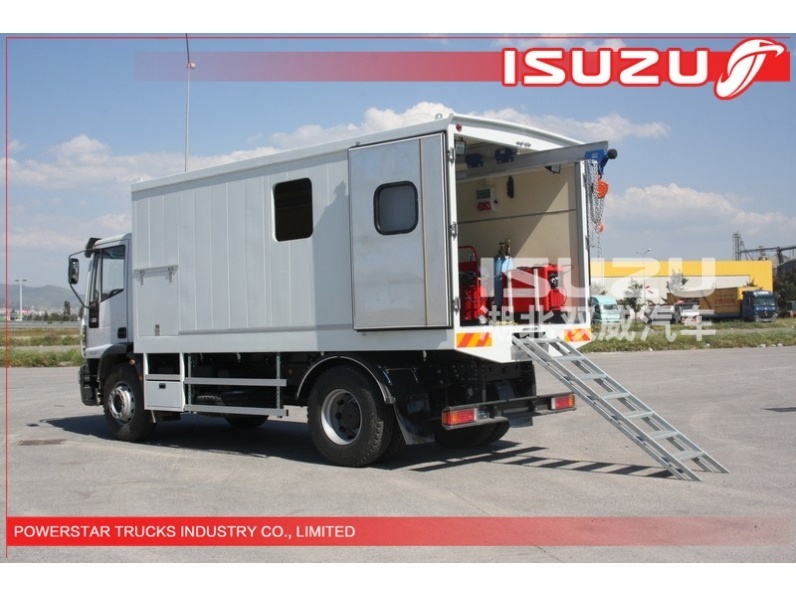 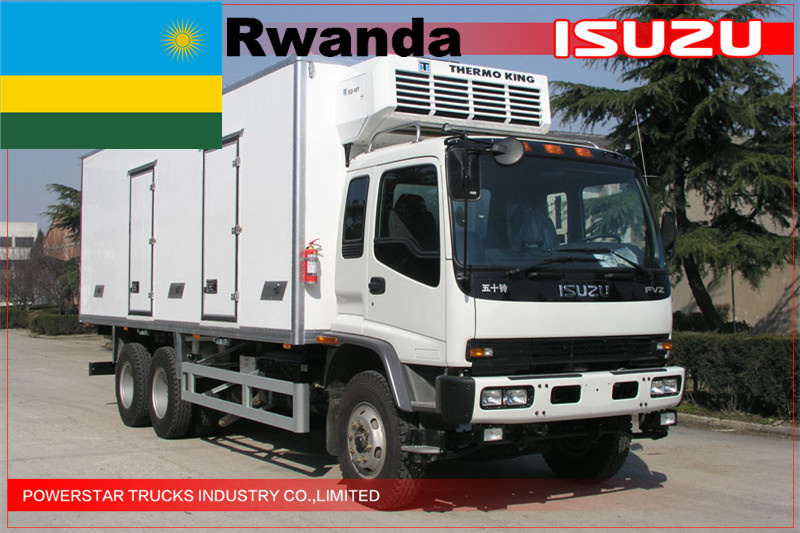 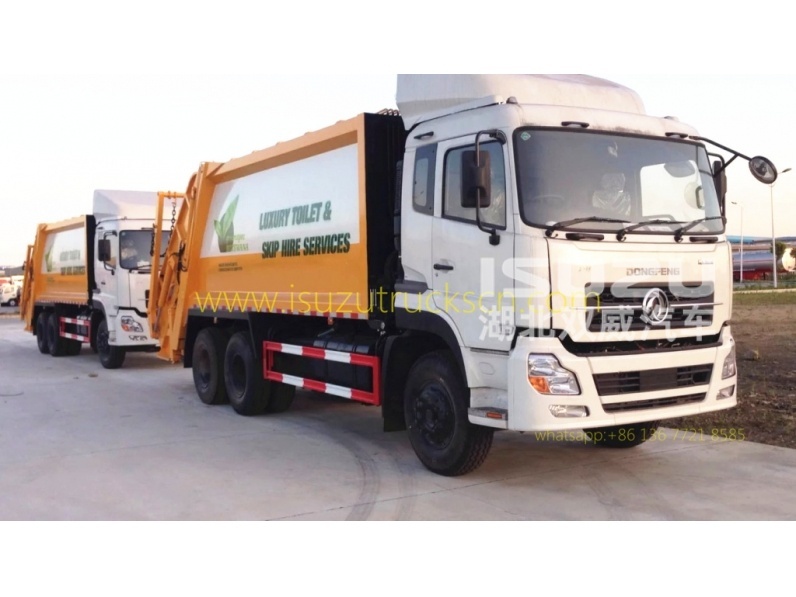 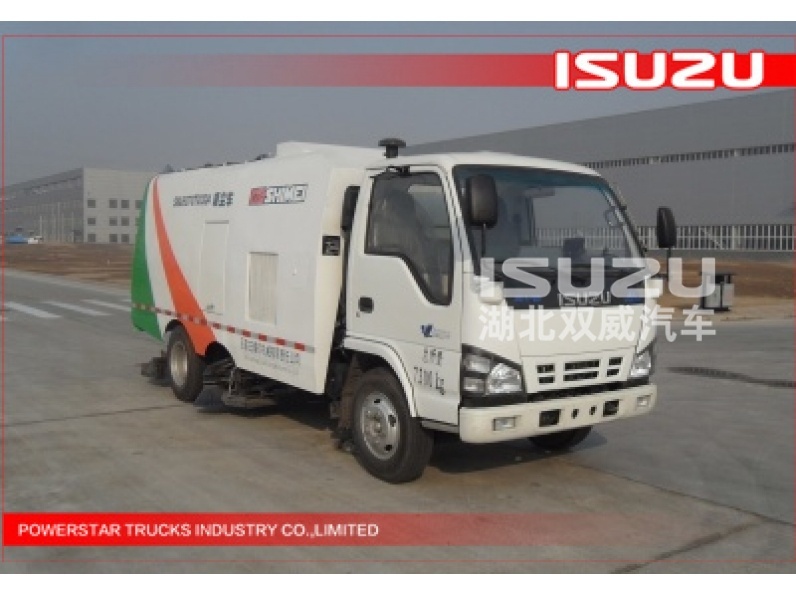 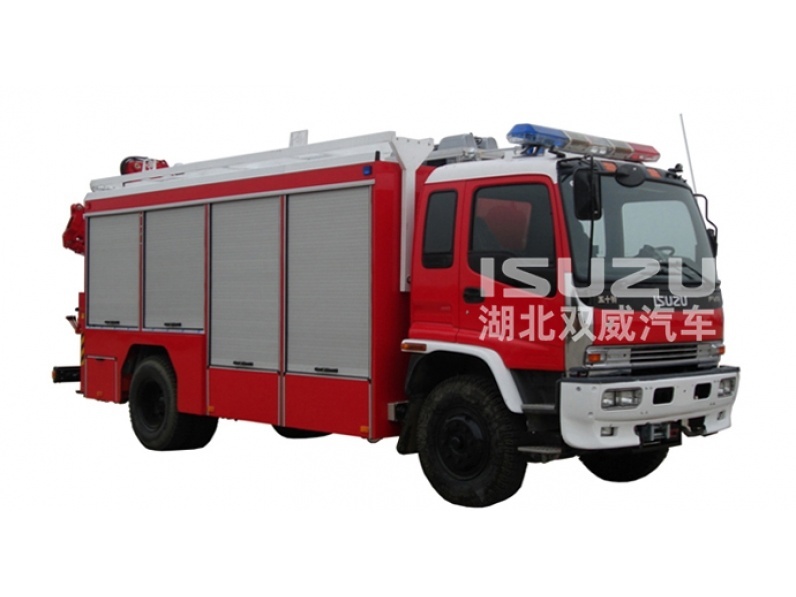 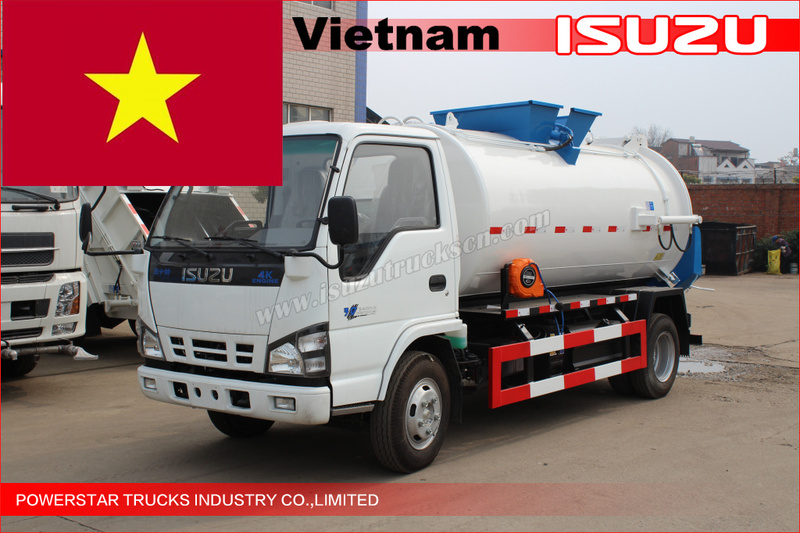 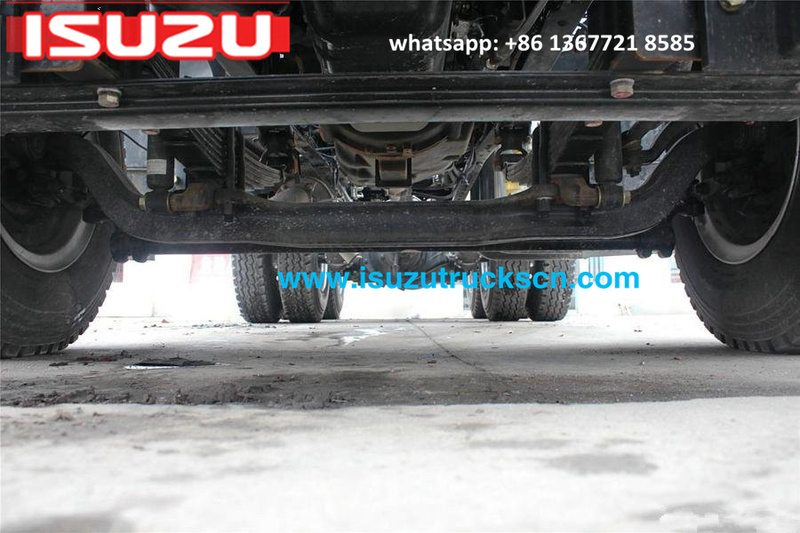 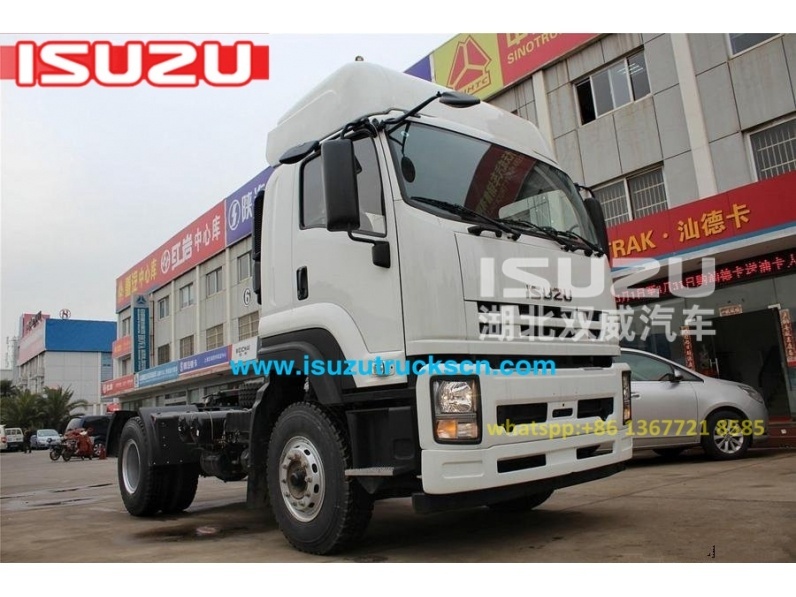 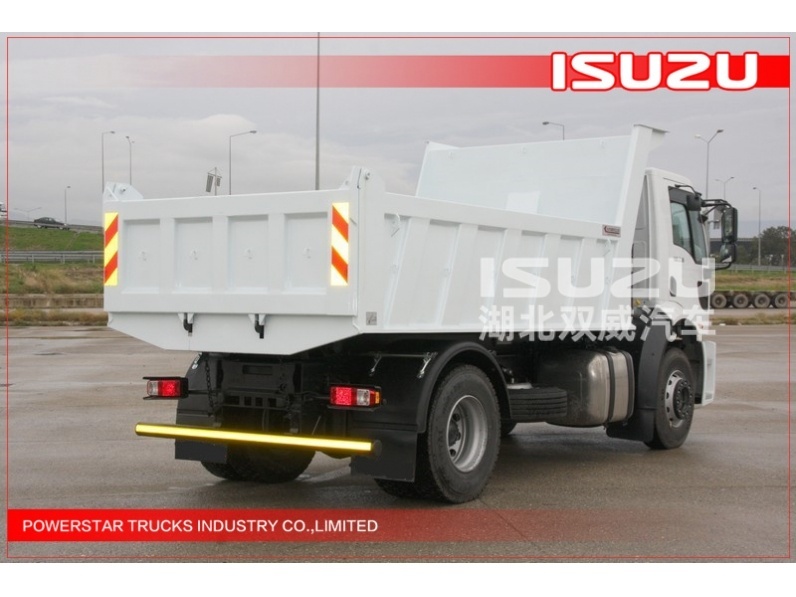 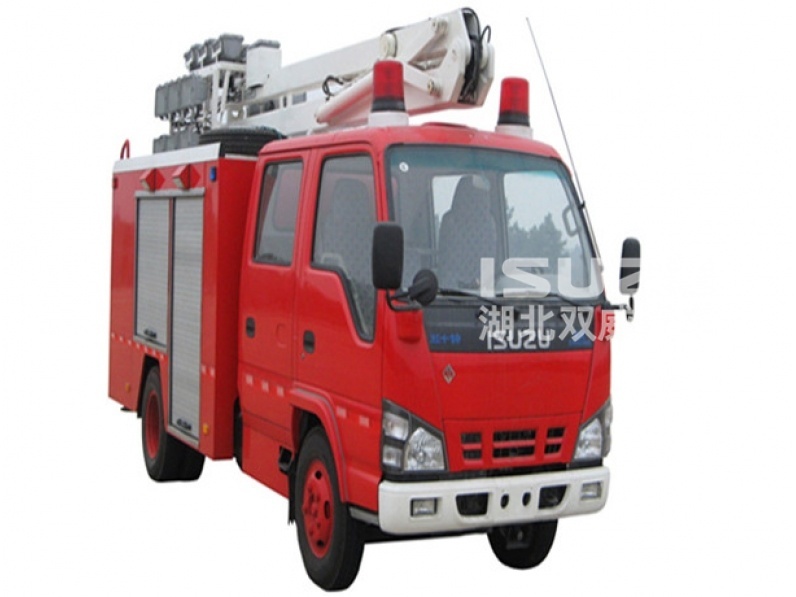 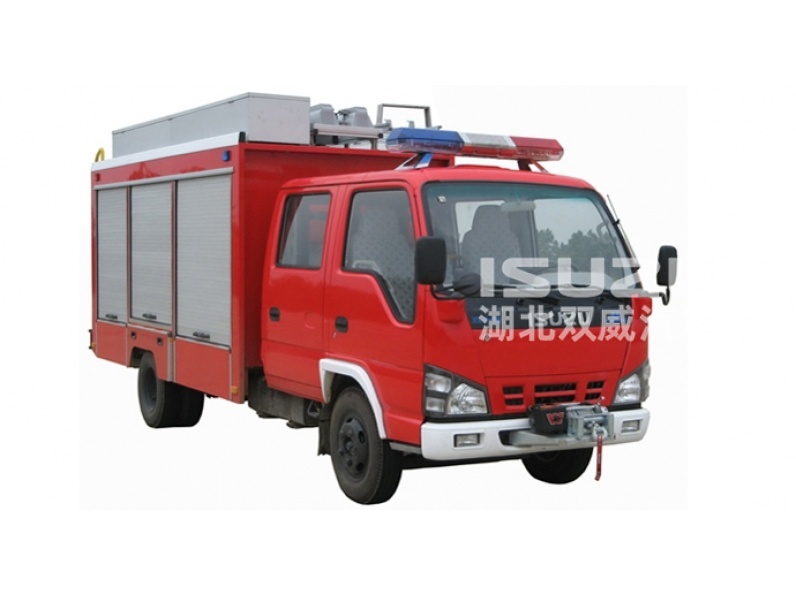 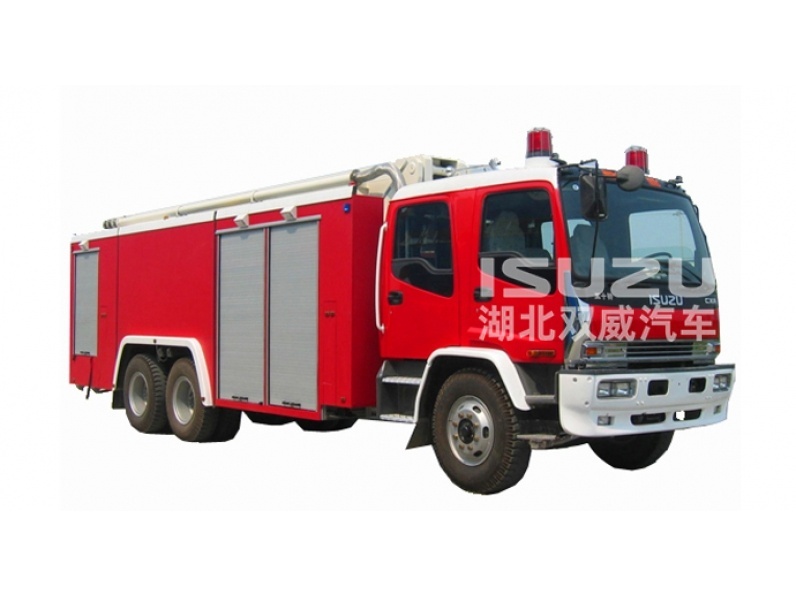 Isuzu Truck tractor unit is an articulated vehicle composed of a towing engine or tractor and a trailer that carries the freight. 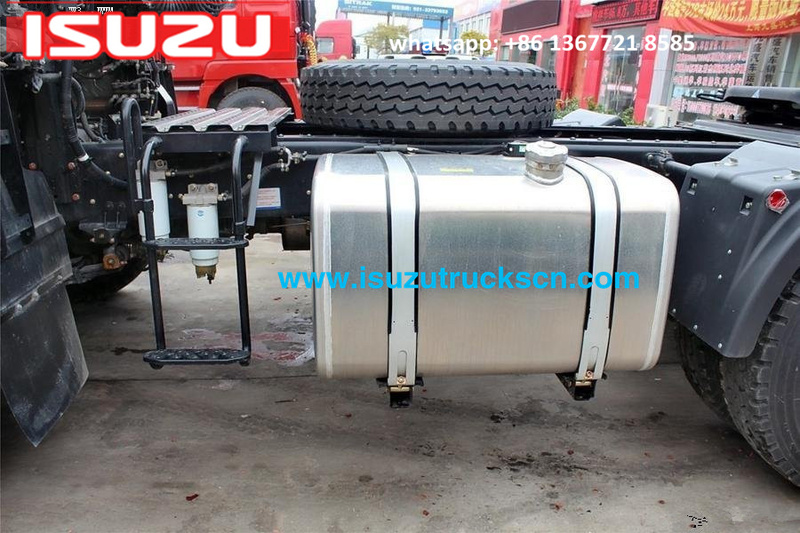 The tractor and trailer are detachable, that is, the tractor can be used to haul other trailers, or vice versa. 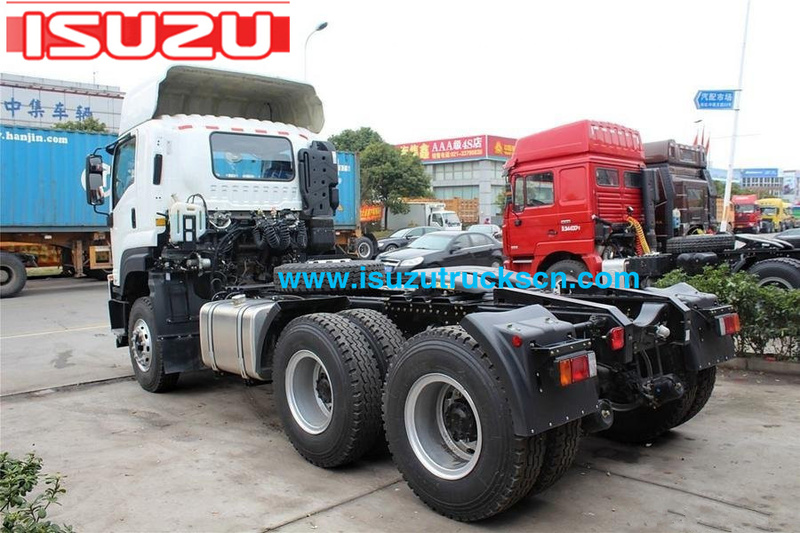 According to connection type of tractor and trailer, there are full trailer and semi trailer. 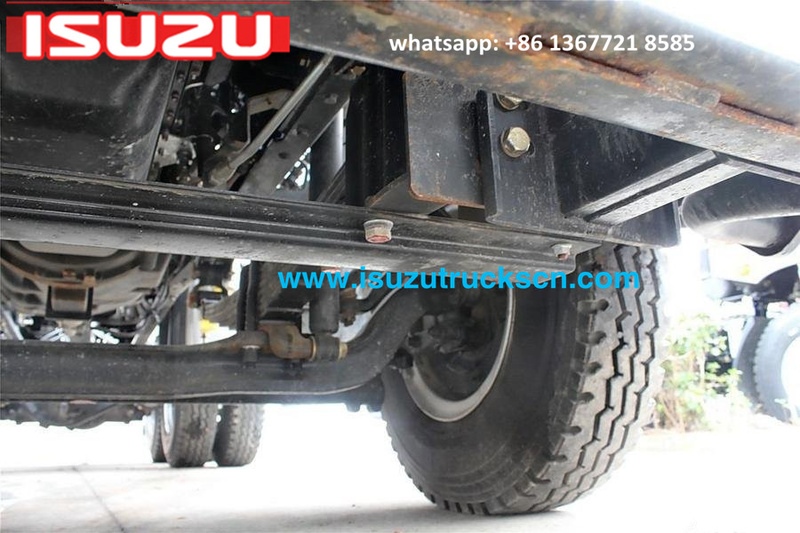 A full trailer is a trailer that is supported by front and rear axles and pulled by a drawbar. 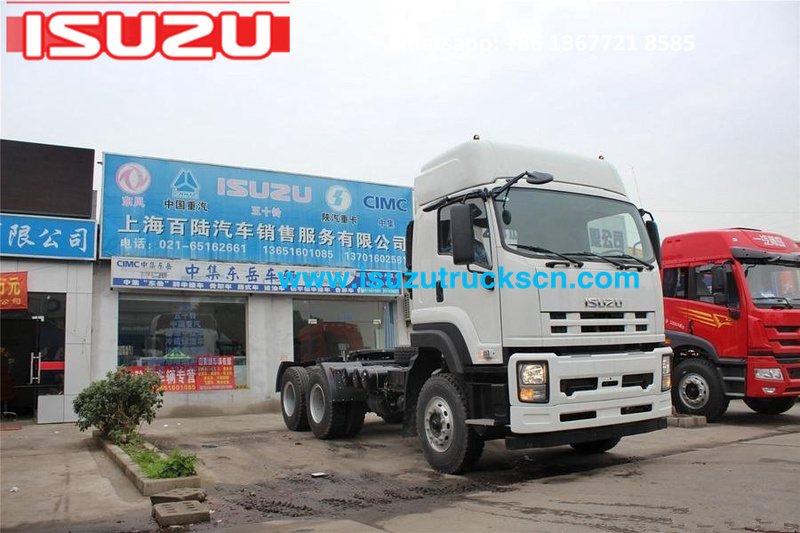 A semi trailer is a trailer that has no front axle and is supported by a road tractor.